Mark A. J. Fassold has tried and won jury verdicts, as lead trial attorney, since 2001. Today, he prosecutes lawsuits with amounts in controversy exceeding one hundred million dollars. Mark is motivated by the honor that comes from earning a client’s trust and the resulting opportunity to fight a cause against fierce and creative competitors. That is, Mark has fought and won against the largest law firms in the world including the largest law firm in the world. As a trial attorney, Mark has prosecuted hundreds of cases in the areas of complex business litigation, intellectual property litigation, product liability litigation, and personal injury litigation. As lead attorney, Mark has tried and won jury verdicts in state and federal courts. Mark was raised by a hard-working Licensed Vocational Nurse and a disabled, Vietnam veteran in a run-down trailer park along a King Ranch fence line in Kingsville, Texas where he learned the inevitability of heartbreak, pain and struggle; the necessity of humility, hard work, and grit; and the gift of compassion, loyalty, honor, respect, and service to others. Mark served the country in the U.S. Army as an infantry platoon leader after earning an Army Commendation Medal by graduating first in his class from Officer Candidate School. Mark later graduated from Texas A&I University in Kingsville, Texas with a perfect 4.0 grade point average and earned a Woodrow Wilson Fellowship to attend Harvard’s Kennedy School of Government. In 1996, Mark earned a Master in Public Policy degree and a scholarship to attend Harvard Law School from which he obtained his Juris Doctors degree in 1999. During his five years at Harvard, Mark qualified and served as a “statistical expert witness” whose expert opinion was adopted by the court in G.I. Forum v. Texas Education Agency, 87 F.Supp.2d 667 (W.D. Tex. 2000) over the opinions of professors from the University of Texas and the University of Michigan. In that case, Mark performed regression analysis establishing that Texas’s high school graduation exam had a disparate impact on ethnic minorities controlling for factors such as socioeconomic status, school quality, curriculum, and numerous other factors. 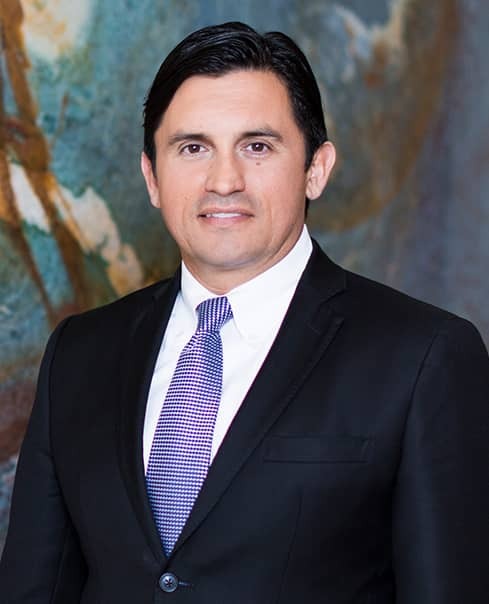 After graduating from law school, from 1999 to 2001, Mark served as a Law Clerk to the Honorable Hayden W. Head, Jr., United States District Court, Southern District of Texas, Corpus Christi, Texas. While a Briefing Attorney, he was given permission to represent, pro bono, a family member who had been sued for negligence. During the three-day trial of that case, his first, Mark obtained a unanimous verdict of no liability in favor of his client in what had been previously described by several attorneys as an impossible case for his client to win. After training and making partner at Jackson Walker LLP, a corporate defense firm, Mark became a partner at Watts Guerra LLP in June of 2009. Mark has a national practice meaning that he has appeared for trial as lead attorney in Manhattan, New York; in San Diego, California; and in numerous courts in between. Mark has also served as lead litigation counsel before specialized courts such as the United States International Trade Commission. Mark is a devoted husband to his wife Angela Christina Fassold and a doting father to their son Anthony (who wants to attend M.I.T. so that he can become the first real Ironman) and daughter Mia (who believes she’s a unicorn) both of whom have learned that it all starts with a dream.